BlackwaterBLUE from monkster.com: McEachran to be lined up for Swansea City loan? McEachran to be lined up for Swansea City loan? 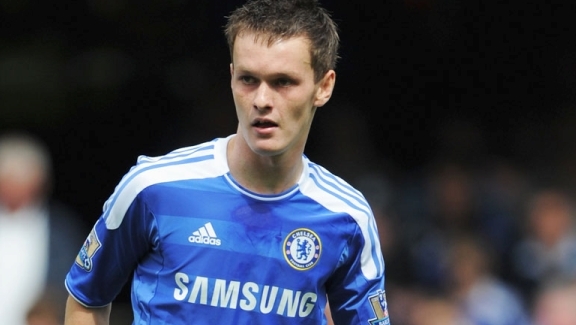 Brendan Rodgers hopes to bring Chelsea and England Under-21 midfielder Josh McEachran to Swansea City in January, as he looks to bolster his squad in a bid to retain Premier League status. Rodgers was a coach with the Blues before trying his hand at management with Watford and Reading, and is now hoping his old connections will come in handy as he looks to bring in McEachran on a temporary deal. Chelsea will not entertain any permanent outgoing deal for the 18-year-old but may look favourably on a loan move for him to gain valuable Premier League experience. The youngster is currently well down the pecking order at Chelsea with an embarrassment of riches currently available to Villas-Boas’ midfield, and a move to a free-flowing side like Swansea and under the stewardship of Rodgers could be seen as key to the youngster's development.